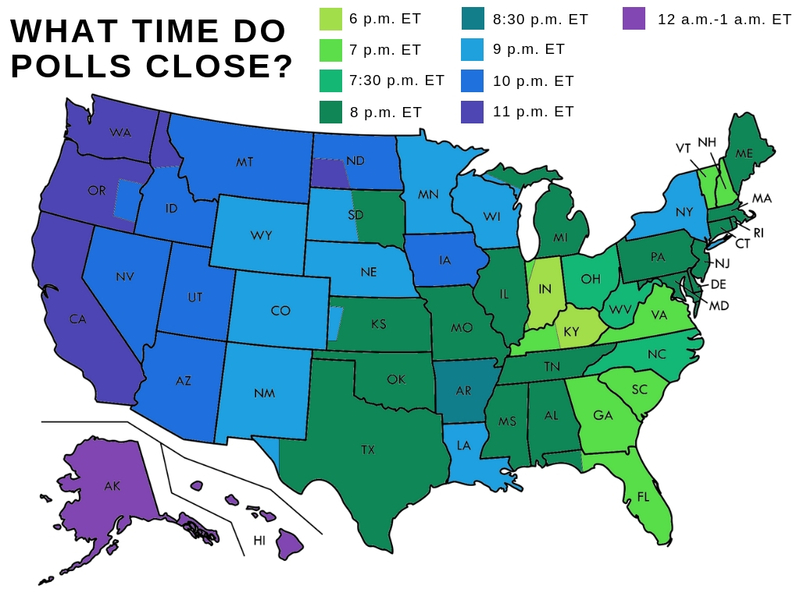 Map: What time do the polls close in your state? It's Election Day, which means people will be shuffling to the polls throughout the day. But before you take off to cast your vote, make sure you check that your polling location is still open. Here's a map and list of closing times across the United States. And you can find your polling location here . More information on voting rights and things you should know before you head to the polls can be found here and here.